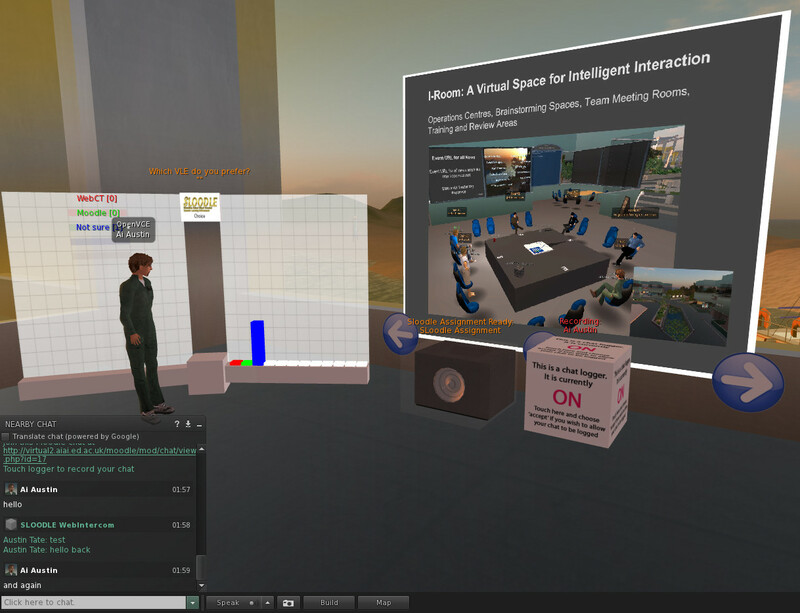 I have been testing elements of the SLoodle Second Life toolkit version 2.0.10 alpha alongside Moodle 2.1.2 and the SLoodle module 2.0.10 alpha with a few revisions being made by Edmund Elgar, a SLoodle developer and one of the owners of Avatar Classroom (http://avatarclassroom.com). The testing is throwing up some minor issues and a couple of PHP scripts have been changed as a result. They will appear in the next alpha test build of SLoodle as the developers move towards the first beta version suitable for Moodle 2.